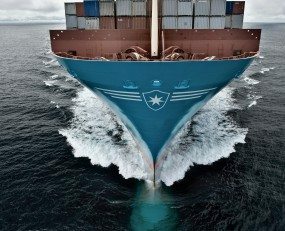 Maersk Line posted a profit of $339m in the second quarter of the year, which compares with a loss of $151m in the same period last year. Its average freight rate per FEU in the period leapt 22% on improved market fundamentals and revenue was 21% higher at $6.1bn, earned from liftings of 5.4m teu. This was up just 1.7% on the previous year, for an average rate per FEU of $2,086.